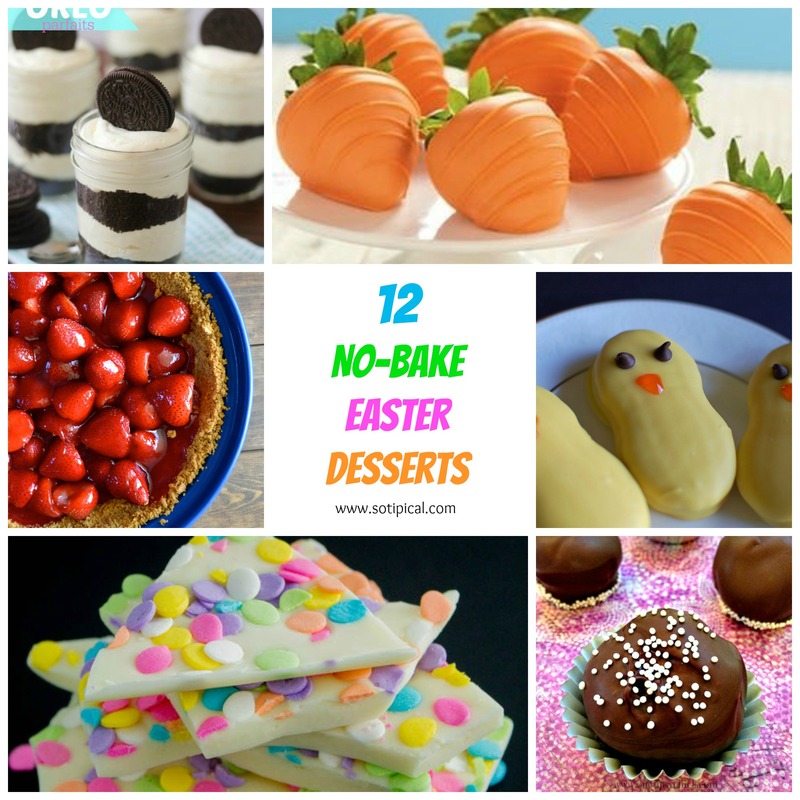 Easter is coming up fast and I find it helpful to have at least 12 No Bake Easter Desserts (recipes) handy for those times you need something easy that you can make in advance! Perhaps you need something last minute, you realize that you need another dessert (or two) for your guests, your oven space is limited and theres no time to bake something. Or maybe you just don’t bake. 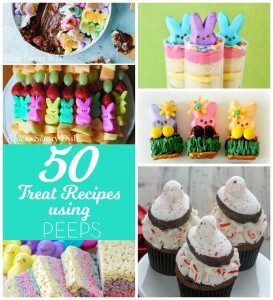 No matter the reason, here is a collection of 12 no bake Easter recipes that I think are yummy, fun and easy! Oreo Parfaits – Confessions Of A Cookbook Queen brings us this yummy easy recipe. Cookies, pudding and whipped topping makes this a breeze to make. This would be great as individual parfaits or double it and turn it into a trifle for a larger crowd. Easter Carrots – How adorable are these??? I found this idea on What 2 Cook. Great as a sweet treat or garnish for a dessert platter. You can either purchase orange candy melts for the coating or use white coating and add a drop of orange food coloring to melted coating at a time, until you reach your desired hue. Fresh Strawberry Pie – I have always loved a good strawberry pie and a no bake version is even better! Many recipes use a baked pie crust but Little Bits Of makes a no bake graham cracker crust instead. If you prefer, a ready made graham cracker crust will work just as well! Nutter Butter Chicks – Another adorable sweet treat! Heather’s Sweets and Treats dipped Nutter Butter Peanut Butter Cookies in melted white chocolate to create these super cute chicks! Use either yellow candy melts or create your own with white candy coating and add yellow food coloring to create it yourself. 3 Ingredient Easter Bark – A plate of Easter Bark is a fabulous addition to your dessert table. Gal On A Mission shares her simple recipe. Its so festive and easy to make! Cookie Dough Truffles – Makes these Cookie Dough Truffles a day or two ahead and store them in the fridge. To decorate for Easter, use pastel colored sprinkles of confetti. This is by far, one of my family’s favorite desserts! Easy Easter Dessert Tray – I found this simple idea on Momma Told Me. You will only need to arrange this platter. There is no preparation involved. Just purchase candy coated pretzels in pastel colors (I’ve been seeing them in the stores), along with a variety of chocolate cookies and/or candies. Alternate rows to create a decorated Easter Egg. You can make this in just minutes! 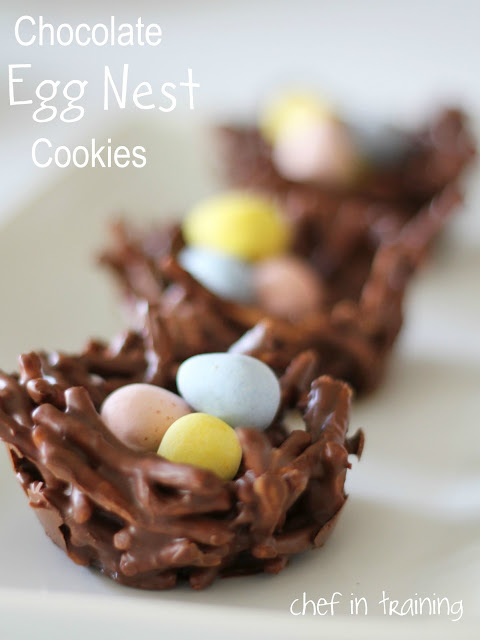 No Bake Chocolate Egg Nest – Found at Chef In Training, this recipe, uses chow mien noodles and melted chips to create the next. Use small chocolate eggs, or even jelly beans to fill them! Bananas Foster Cheesecake Pudding – Brought to us by The Cottage Market. This looks amazing! 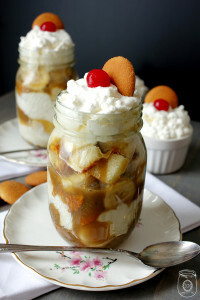 Use cubed pound cake and/or vanilla wafers layered with the pudding mixure and this decadent Bananas Foster caramel sauce. Make it in individual portions or layer it in a trifle bowl! 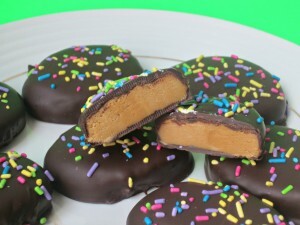 Healthier Peanut Butter Eggs – This recipe from Love To Be In The Kitchen is a lighter version of this traditional Easter treat! Neapolitan Fudge – Such a lovely looking dessert from I Am Baker. 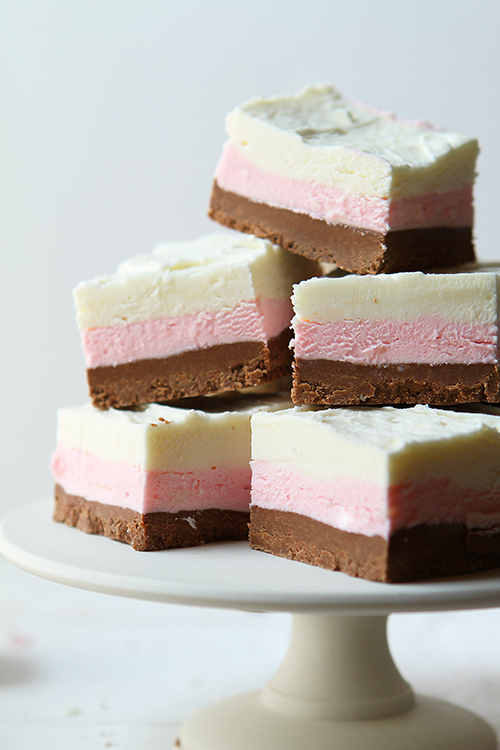 Same basic recipe for all 3 layers, but flavored with vanilla, chocolate and raspberry. And it says that the fudge tastes a lot like cream cheese frosting. YUM! Easy No Bake Key Lime Pie – I found this simple recipe on Heart.Love.Always. It looks so tasty and so refreshing. It would be the perfect ending to your holiday meal! UPDATE: Here is one more that I just made this week! 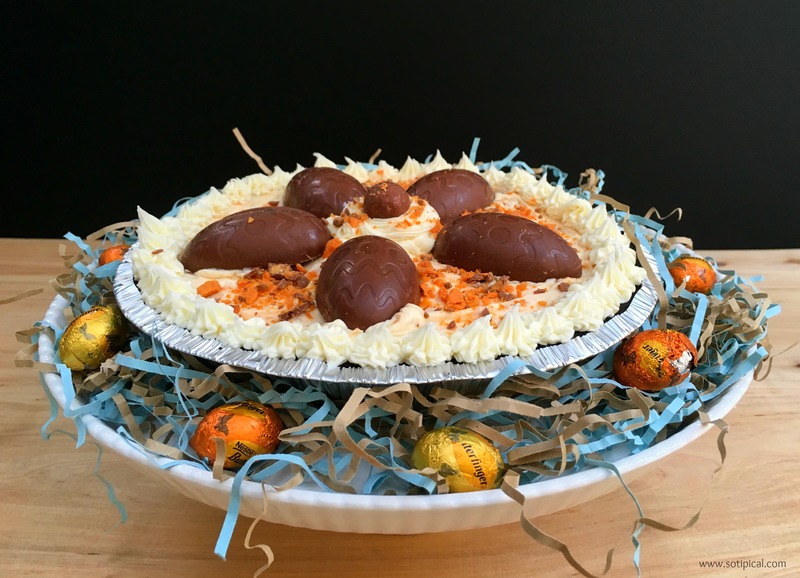 Which of these 12 13 No Bake Easter Desserts is your favorite? Let me know in the comments! You’re welcome Becky! They looked so yummy, I had to! So many great ideas! 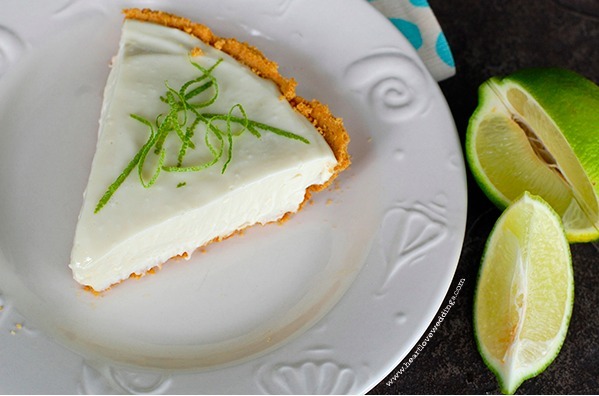 I pinned and shared these terrific recipes and I’m sure I will be using a couple! Happy Easter! Thank you Rena! Hope you enjoy them! Oh my what a lovely bunch of recipes! That Bananas Foster Cheesecake Pudding looks marvelous! Thanks much for sharing these. Now I have a nice dessert for Easter! I’m so glad Carolann! I have my eye on that one too! The words “no bake” are like music to my ears! This is a great roundup. Thank you for sharing at Merry Monday! What a great group of Easter recipes! I want to try them all! 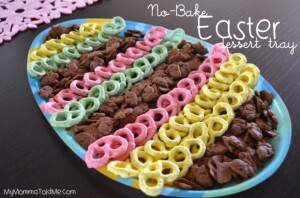 The pretzels shaped like an egg look easy and awesome!